Box model in CSS is a term related to layout and design. 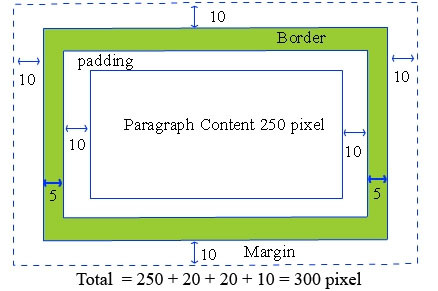 Box model consists of Margin, border, padding and content which wrap around Tags. For Example: Below we have a paragraph tag. Paragraph content some text in it. And suppose we want to put our paragraph content in 250 pixel width space. Content: It is a area where text and images appear.